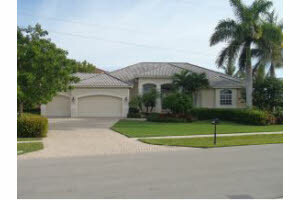 Fabulous 3 Bedroom 2 Bath Water Direct Home with Wide & Long Bay Views... Architectural Details in this Former Model Home!! Crown Molding, Coffer Ceilings, Granite Kitchen, and MUCH MORE! !